Getting braces may not be the first thing that your child is looking forward to in their teenage years. In fact, you may be met with eye rolls, sighs and the silent treatment at the slightest mention of the word. However, knowing when to consult an orthodontist is crucial in the development of your teen’s overall dental health. 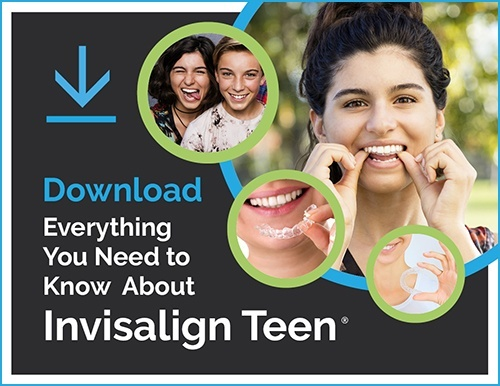 So, how can you tell if your teen has an issue that requires braces? Crossbite: occurs when some upper teeth sit behind the lower teeth, resulting in problems with proper jaw growth. If you notice your teen starting to develop any of these common problems, it may be time to consider how getting braces may help correct the issue. Braces apply pressure to the teeth continuously over a period of time to gradually guide the teeth into the desired position. Traditional braces have brackets that attach to the teeth and act like anchors. Wires are attached to these anchor points and are adjusted accordingly by the orthodontist to achieve the best possible results for the patient. How long this may take varies, as each patient is unique. These signs may be obvious or subtle and they may appear suddenly or gradually. No matter how they appear, if they are affecting your teen, action may need to be taken to help alleviate these symptoms. Gone are the days of standard braces being your only choice. With the emergence of Invisalign and clear braces, patients now have a choice for how to correct their dental problem. Once you’ve established that a trip to the orthodontist is necessary, be sure to choose a reputable doctor to discuss these various options. The professionals at Milnor Orthodontics are ready to help. Let industry specialist, Dr. Laura D. Milnor and her team of experts help your teen get a beautiful smile to last a lifetime.